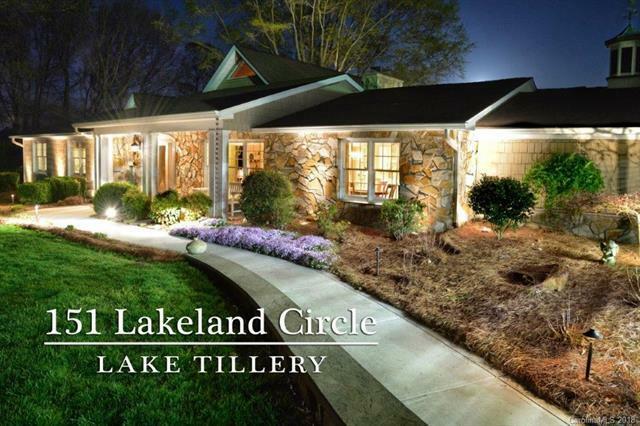 151 Lakeland Circle #9, Mount Gilead, NC 27306 (#3367841) :: Robert Greene Real Estate, Inc.
NC Remodel of The Year was awarded to this beautiful waterfront home on Lake Tillery. Located in Emerald Shores on a cul-de-sac this home provides you with an extremely flat lot with over 250 feet of shoreline and views that you will make memories with. Mature landscaping, irrigation and a fenced yard. 3 BR / 3.5 BA with a 4 car attached garage and workshop. Gourmet kitchen / high end appliances for the chef in your family. Granite, newly refinished hardwoods, tile floors compliment the craftsman finish and top of the line fixtures used in this home. There is a separate guest house at the waterfront for those friends who might get a little LOUD ! Super sized enclosed boathouse and a dock with tons of sun deck. A truly unique lot with an extremely unique home.....come find your place on Lake Tilllery !! A life style you will fall in love with. Sold by Pier View Properties.